My ‘96 Tahoe develops a front to rear jerking coming from the engine bay at highway speeds and under constant speed, not accelerating or decelerating. When I unplug the EGR wiring dongle the problem disappears. Any thoughts on this? 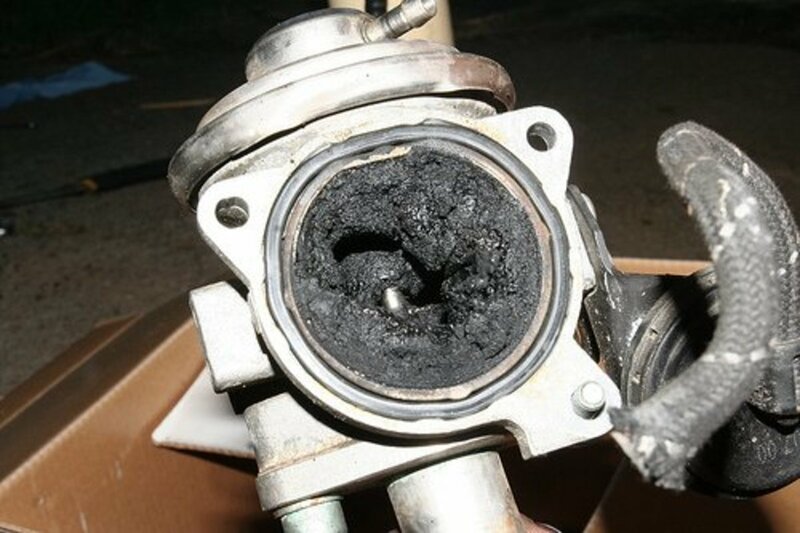 The EGR valve may be getting stuck from carbon build up. The jerking you are feeling is probably a vacuum leak. More air entering the engine is upsetting the amount of fuel the computer think it really needs. Check the valve and passages for carbon buildup. Probably other components in the system may be causing this too. I have a 2005 Sharan 1.9 TDI. When I start the car, it works well for 2-3 minutes. Then white smoke starts to come out of the tailpipe and when I start to drive with low speed, the cat doesn’t work well anymore. I stop the car and I remove the EGR vacuum pipe from the EGR. The white smoke disappears and the car works well. I have been driving my car since 6 months ago with a blocked EGR pipe. Do you have any thoughts?